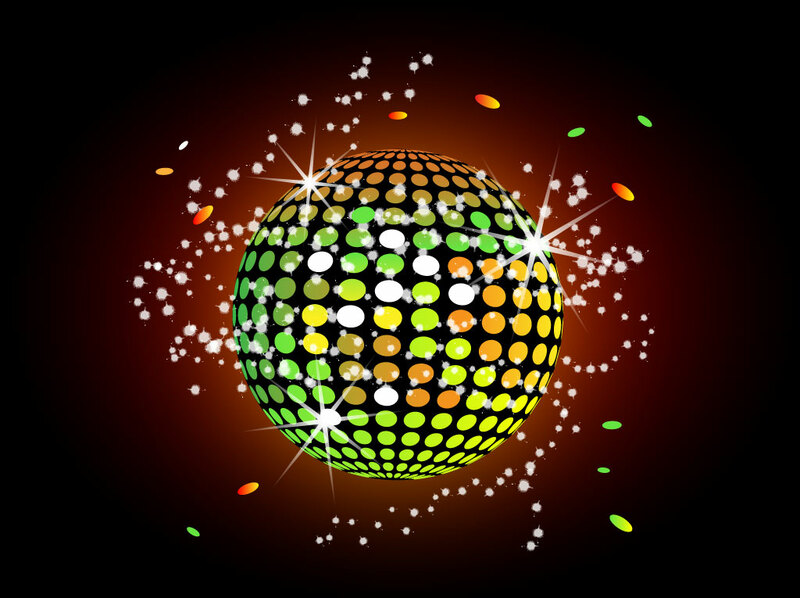 Free vector download featuring a colorful light ball or disco ball set on a dark background with glowing center that adds to the atmosphere of the graphic. Sparkling star highlights give the image a magical feel that will look great as part of a dance club or retro music banner. Tags: 70'S, Dance, Disco Ball, Glitter, Light, Mirror Ball, Party.